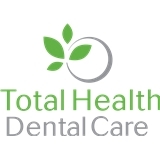 Total Health Dental Care (Oakland) - Book Appointment Online! Welcome to Total Health Dental Care. We are trendsetters in modern and holistic dentistry. If you are looking for a new dentist, please contact us today for a consultation. Great, very professional. I am very pleased. Dr. Walker is a great dentist. She work deligently...passionate..friendly. Knowledgeable staff, very friendly, nice surroundings. Very professional and friendly staff. I don't know how I have not found them before. They have very up-to-date technology available in the office. The extras include free tea, massage, acupuncture, and nutrition services available. I would recommend it to anyone who is looking for a dentist in the area. The wait time was a bit longer because it was my first visit, but they seem to have a very short wait time for regular visits.